A definite gain of Israel's new settlement policy is that it seems to have taken the settlement issue off the boil not just with the Trump administration but also with other friendly foreign governments. Among the losses, thanks to the Judea and Samaria Settlement Regulation Law, is UN Security Council Resolution 2334 of December 23, 2016, which vehemently denounced all Israeli settlement activity. During March 2017, a delegation appointed by Israel's Prime Minister Binyamin Netanyahu held lengthy discussions in Washington with the Trump administration over construction in the Israeli settlements in Judea and Samaria (aka the "West Bank"). No summary of those discussions was published, but on March 30 the security cabinet of the Israeli government informed the media that it had drawn up guidelines limiting further construction. Now, however, Israeli Defense Minister Avigdor Lieberman -- who has direct responsibility for approving all such construction plans -- has confirmed that "Israel is coordinating its settlement construction with the White House." He specified that "while coordination is not happening on the level of every '10 [houses],' there is general understanding between Jerusalem and Washington about acceptable levels of construction in the West Bank." This would explain why, whereas under the Obama administration any Israeli announcement about even a small number of housing units would provoke ritual squeaks of protest from U.S. officials, the recent announcements of larger numbers have escaped loud censure. It should be noted that such announcements commonly give an exaggerated impression of the scale of construction. This is because Israeli urban planning involves a series of stages of approval before actual construction goes ahead. Thus the most recent announcement, billed as "building at the highest level since 1992," aggregates plans at various stages of approval, some of which were included in earlier announcements. To add together all such figures over a long period would therefore be mistaken because of multiple counting of the same individual housing units. "Israel, according to the security cabinet decision, will -- as much as possible -- only permit building within the existing construction lines of the settlements... In areas where this is not possible because there is no more available land inside the settlements, construction will take place close to the existing construction line. Where this too is impossible because of issues of land ownership, or security or topographic considerations, Israel will build as close to the existing settlement as possible... Israel also committed itself not to permit the establishment of new wildcat outposts." The other exception is the so-called "Judea and Samaria Settlement Regulation Law," passed by the Israeli parliament on February 4, 2017 after long discussions that started in mid-2016 and that were provoked precisely by the case of Amona. The law addresses land occupied by settlers either within or outside officially created settlements, but which was subsequently found to be privately owned by Palestinians. As far back as 1979, Israel's Supreme Court ruled that settlements could not be built on such land. The law seeks to permit compulsory acquisition of the land while compensating the owners (either financially or with state land elsewhere) if occupation of the land occurred "in good faith" (i.e., without prior knowledge of Palestinian ownership) or if the Israeli state had de facto assisted the occupation (e.g., by connecting buildings to the water or electricity grid). It is widely expected that the law itself will be struck down by the Supreme Court. "All the settlements created by Israel before the Oslo accords are legitimate, including the new Israeli housing estates created in the extended boundaries of Jerusalem. As long as the 'interim period' envisaged in those accords remains in force, Israel is allowed to build within the originally defined pre-Oslo boundaries of the settlements, but is not allowed to change their pre-Oslo status." Let us see how it applies to the new policy. The main line of the new policy is obviously very close to that conclusion; one just has to delete all the minutely defined deviations. The construction of Amihai and any "regulation" of wildcat outposts are, also obviously, not legitimate. Indeed, another Gatestone article -- devoted specifically to the Regulation Law -- showed that the law is riddled with undesirable consequences, including ones that may prove most inconvenient for the current ruling coalition in Israel. The Israeli claim is inaccurate, but the applicability of Article 49 is nevertheless to be denied. This is because there is another article, Article 3, that precisely refers to "armed conflict not of an international character occurring in the territory of one of the High Contracting Parties." The conflict between Israelis and Palestinians is eminently such an "armed conflict," since it began as a civil war between them in the territory of the British Mandate for Palestine, in which both parties claimed the whole territory, and it has continued as such up to the present day, despite Israeli offers of a permanent compromise and Palestinian offers of a temporary compromise. Article 3 continues: "each Party to the conflict shall be bound to apply, as a minimum, the following provisions..." The numerous provisions are all concerned with preventing physical harm to individuals in the territory, be they prisoners, wounded or simply non-combatants. After all that, the article concludes with two significant general statements. "The Parties to the conflict should further endeavour to bring into force, by means of special agreements, all or part of the other provisions of the present Convention." That includes Article 49, of course. "The application of the preceding provisions shall not affect the legal status of the Parties to the conflict." That is, since the "provisions" refer only to human individuals, the political claims of the Israelis and Palestinians are unaffected. The essential point, then, is that until a meeting of the Palestine National Council in 1988 all the Palestinian organizations refused to envisage not merely "special agreements" with Israel but any kind of contacts and negotiations with Israel. In that they were backed by all the Arab states except Egypt (but also by Egypt up to Sadat's visit to Israel in 1977). Thus the 1949 armistice agreements between Israel and its Arab neighbors, which had invaded in support of Arab claims, all expressly stated that the ceasefire lines had an exclusively military, and no political, character. They were not, that is, to be seen as recognized borders, since the Arabs refused to recognize Israel in any borders. Likewise, after the Six Day War, the Arab states and Palestinian representatives issued a declaration in Khartoum that reasserted "the main principles by which the Arab states abide, namely, no peace with Israel, no recognition of Israel, no negotiations with it, and insistence of the rights of the Palestinian people within their own country." Negotiations between Israel and the Palestine Liberation Organization (PLO) resulted in four "special agreements" in the senses of Article 3 of the Fourth Geneva Convention: Oslo I (1993, together with its follow-up, the Gaza-Jericho Agreement of 1994), Oslo II (1995), the Hebron Protocol (1997) and the Wye River Memorandum (1998). Since all existing official Israeli settlements in the West Bank were created before 1993, all of them are legitimate because only Article 3 (and specifically not Article 49) applied then. And as these four "special agreements" expressly exclude "the Settlements and Jerusalem" from their provisions, continued building within those areas, as they existed then, is also legitimate. In recent years, the Palestinian Authority (created by Oslo II) has taken to calling itself the "State of Palestine." If taken seriously, however, this would damage Palestinian claims all the more. A party can legitimately proclaim a state only on territory that it controls. The PA controls only the Areas A and B of the West Bank established by Oslo II; it lost control of Gaza in 2007. Thus Area C, which contains all the Israeli settlements and which Oslo II assigned to exclusive Israeli control, is no part of a "State of Palestine." Why does the Israeli government in 2017 permit itself a few deviations from legitimacy, rather than continuing the state of complete legitimacy that existed previously? The same annual number of new housing units could be initiated either way, just not quite in the same places. The answer lies in internal Israeli politics. The Israeli Left was deeply discredited by the failure of the "peace process" that it initiated in the 1990s because of the vast number of victims of Palestinian terrorism that has ensued. As a result, a majority of Israeli Jews -- despite readiness for territorial compromise with the Palestinians -- no longer believes that this will lead to a genuine peace with any foreseeable Palestinian leadership. There is an Israeli website, Knesset Jeremy, which specializes in collecting the results of opinion polls. It divides the Israeli political parties into five groups: Right, Religious, Center, Left and Arab. Given any poll of voting intentions, the website also aggregates the first two groups versus the last three. For a number of years, the aggregates have hovered around 66 versus 54. Moreover, the Center-Left-Arab aggregate could not form a government, as the Arab parties identify totally with the aims of the Palestinian Authority. The only way in which the Center-Left could form a government, as Rabin did in 1993, is by detaching part of the Religious from the Right. This is currently impossible because the only current Center party, Yesh Atid, is anathema to the Religious and vice versa. Likud-led governments have therefore become the norm. Even the occasional entry of Labor or Yesh Atid into the governing coalition have taken place under Netanyahu as Prime Minister. Consequently, the only significant changes occur within the aggregates. In successive polls, voter intentions switch back and forth between Labor and Yesh Atid. Among the four Right parties, the relationship is even closer. Avigdor Lieberman and Naftali Bennett, the founders and leaders of Yisrael Beitenu (Israel Our Home) and Bayit Yehudi (Jewish Home), are former chiefs of staff of Netanyahu himself. Moshe Kahlon, the founder and leader of Kulanu (All of Us), is also a former Likud member. In the current coalition of 67 Knesset members, Likud, Kulanu, Bayit Yehudi and Yisrael Beitenu have respectively 30, 10, 8 and 6 members. The most recent poll (by Midgam on May 26, 2017) gives them 30, 7, 9 and 7. Thus Netanyahu would not have a majority now, nor one plausibly in new elections, without Bennett's Bayit Yehudi -- the settler party par excellence. The issue of Amona and other cases of settlers on land privately owned by Palestinians came to a head in mid-2016 because Israel's Supreme Court had set December 2016 as the final date for evacuating Amona. While it was specifically Bennett's party that promoted the Regulation Law as a general solution, the issue resonated strongly also with many Likud members and voters. So although both Netanyahu and Lieberman expressed aversion to the law, they had to fear a widespread shift within the Right in favor of Bennett. For the last year, the tactic of Netanyahu and Lieberman has been to hang on to their grassroots support by acquiescing in the passage of the law while expecting (and probably hoping) that the law will indeed be struck down by the Supreme Court, so it was not worth fighting against in the Knesset. The Attorney General, Avichai Mandelblitt, has said all along that he will not defend the law whenever it comes to the Supreme Court. This is a rather messy way for an Israeli Prime Minister to achieve his aims, but the nature of Israeli parliamentary politics left Netanyahu no other path of survival. As for the creation of Amihai, the other glaring exception to legitimacy, it may run into an obstacle that lurks like a hidden iceberg. Oslo II contains an Annex III of which Article 3 states that income accruing to Israelis "in Area C outside the Settlements and military locations" must be taxed by Israel at Palestinian rates and that Israel must then pass the taxes on to the PA. By "the Settlements," as we saw, is meant such official Israeli settlements as existed at the time of Oslo II; both wildcat outposts and new settlements are excluded. 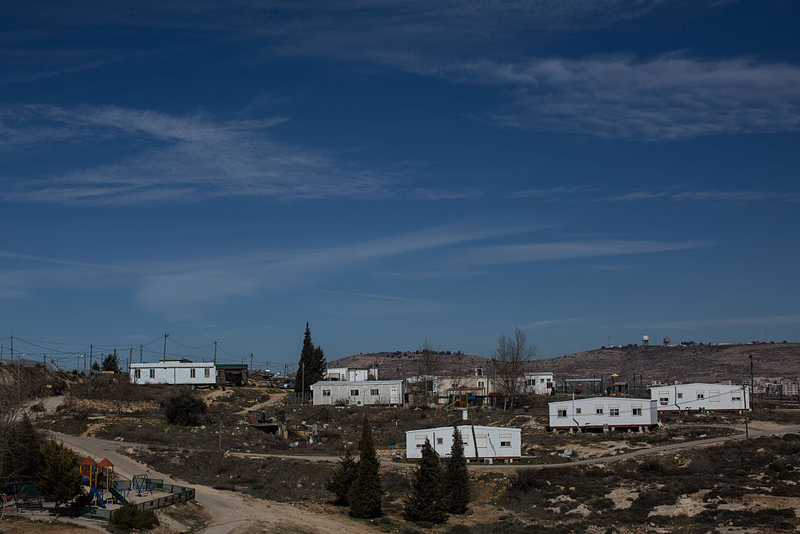 As Palestinians (when they pay taxes at all) pay income tax at a maximum rate of 15%, which is much lower than Israeli rates, some Israelis might prefer to pay to the PA instead, but the prospective inhabitants of Amihai are likely to be appalled. Moreover, the PA would then wake up to the fact that Israel owes the PA back taxes (up to 2004 at the higher maximum rate of 20%, thereafter at 15%) for all Israelis living in wildcat outposts. Note that these are not tax debts of individuals to a state, which may be limited to some maximum of past years, but debts of the State of Israel under a signed agreement with the PA. The State of Israel has already collected more than enough tax to pay its debt; it just needs to pass on what is due to the PA and refund the difference to the Israeli citizens in wildcat settlements. A definite gain of Israel's new settlement policy is that it seems to have taken the settlement issue off the boil not just with the Trump administration but also with other friendly foreign governments. The latter have not been reacting with their habitual frenzy to recent announcements about settlement housing. Among the losses, thanks to the Regulation Law, is UN Security Council Resolution 2334 of December 23, 2016, which vehemently denounced all Israeli settlement activity. Unlike a previous version of the resolution, proposed in February 2011, the United States abstained instead of vetoing it. In a speech by Samantha Power following the vote, she picked out the looming Regulation Law as a prime reason for why the Obama administration had decided not to repeat its veto of 2011. Thus the premature glee of Bennett and Bayit Yehudi over the election of President Trump and their willful championing of the Regulation Law, despite its prospective annulment by the Supreme Court, have dealt a serious blow to the settlement project in the longer term. More generally, for as long as there was an argument for the 100% legitimacy of Israel's official settlement activity, it was possible for Israel's foreign diplomacy and Israel's friends to conduct vigorous public relations in justification of that activity. One cannot conduct public relations on the basis of "our policy is almost sort-of not-quite legitimate." Malcolm Lowe is brilliant, and his articles are enormously helpful in providing answers to some of the painfully difficult questions about Israel, Palestinians, and Settlements. Malcolm is methodical, historically informed, careful, and takes great pains to be fair and accurate. Thank you, Gatestone, for posting his important contributions. It is idiotic that Israel should coordinate with anyone for building in the Jewish nation ancestral land because an invented nation claims that it is their land. Why not coordinate with Tibet or north Cyprus about what and where to build anything? Because it is Jewish land anyone has the right to dictate to build or not?